Widows ' Viola Davis in a stunning Armani Privé monochrome gown. 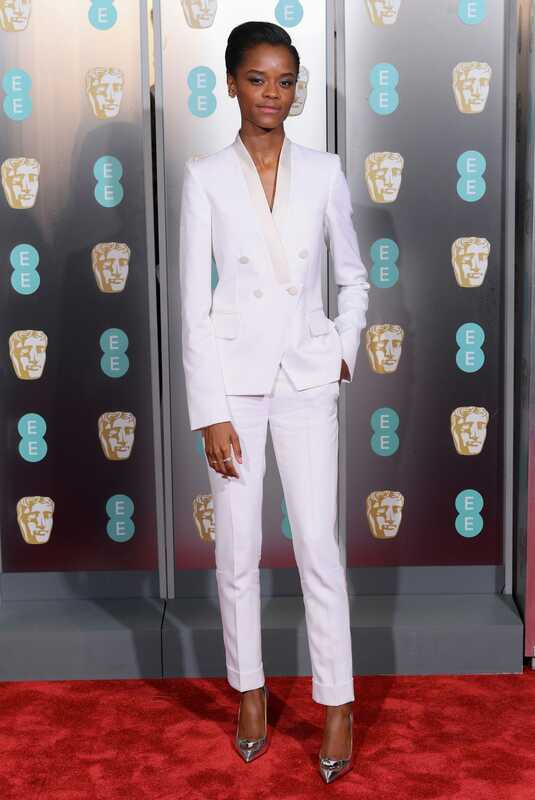 Letitia Wright wears an ice-white Stella McCartney suit and Christian Louboutin heels. Margot Robbie might just have won the red carpet with this tulle and crystal number. 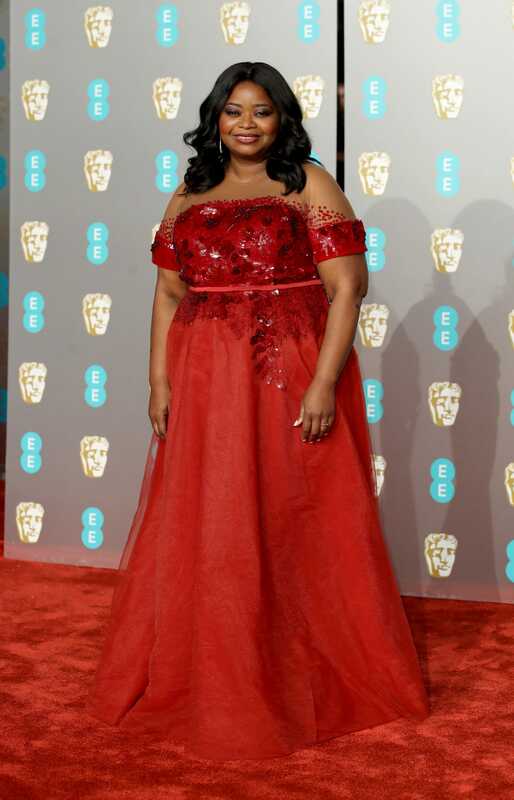 Octavia Spencer oozing Hollywood glamour in a classic red gown. Kate Middleton attended her third BAFTAs in an asymmetric white gown. Bohemian Rhapsody star Lucy Boynton is fast becoming a red carpet pro in a gown by Dior Haute Couture. We love Cate Blanchett's Christopher Kane dress with bejewelled neckline. Widows ' Michelle Rodriguez in a draped gold Jenny Packham dress. 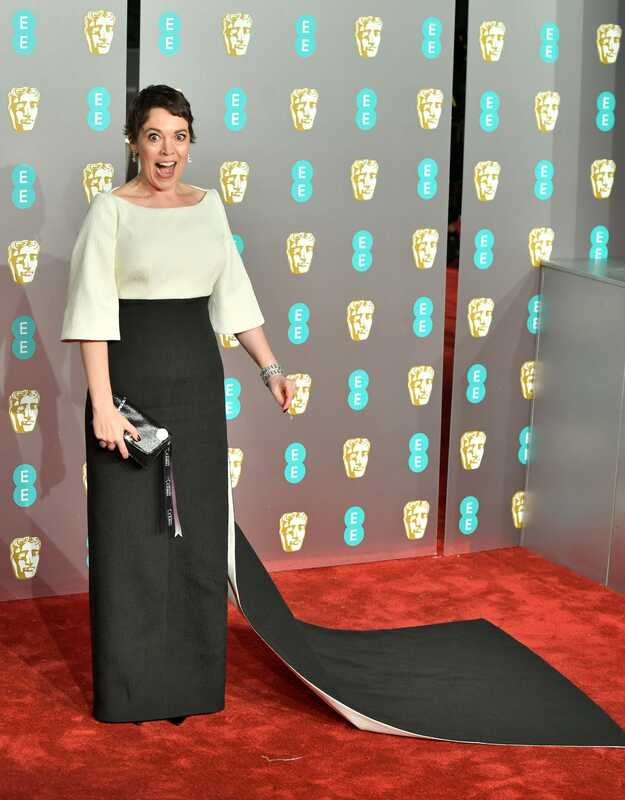 The Favourite 's Olivia Colman working an elegant Emilia Wickstead dress with short train. The Crown 's Clair Foy in a forest green number. Amy Adams leads the best dressed in a classic burgundy gown. 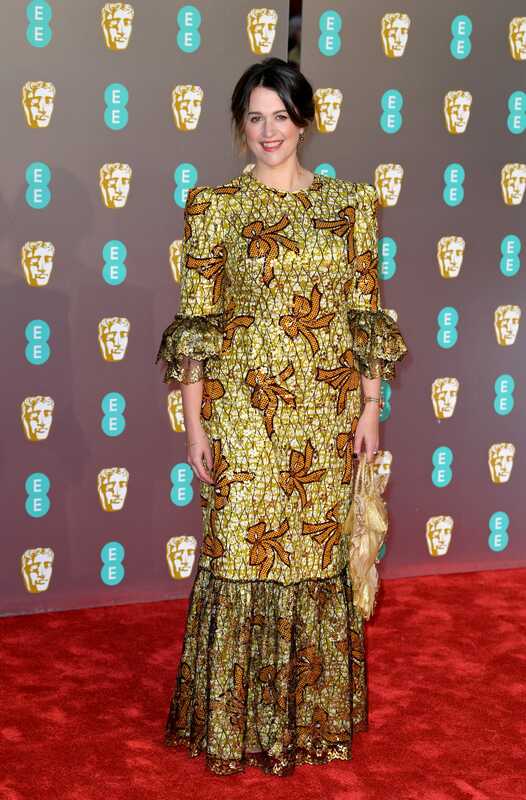 The Favourite 's Rachel Weisz in a frou frou fairytale dress. 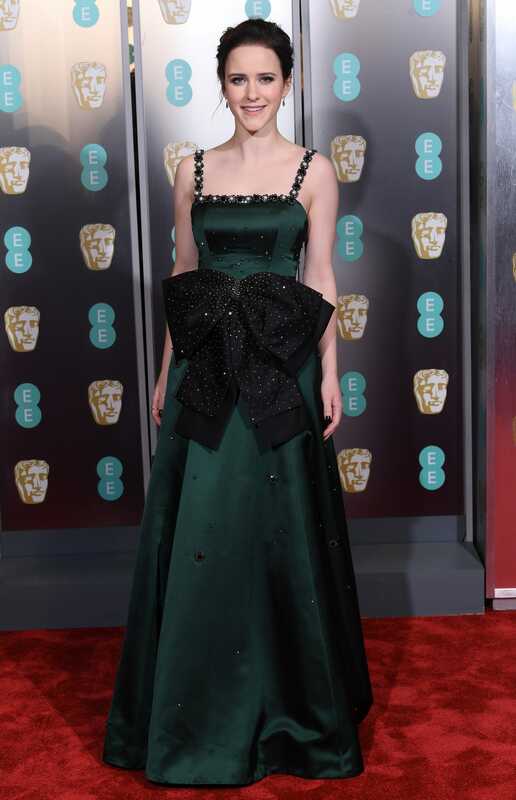 The Marvelous Mrs. Maisel star Rachel Brosnahan wears a dreamy emerald dress. Stacy Martin in a Dior Haute Couture Victoriana number. Mary J Blige wearing an embellished white two-piece. Les Miserables actress Lily Collins in electric blue. Widows ' Elizabeth Debicki in a thigh split black dress. Model Irina Shayk gives a good lesson in rocking a red carpet suit — hers is by Burberry. 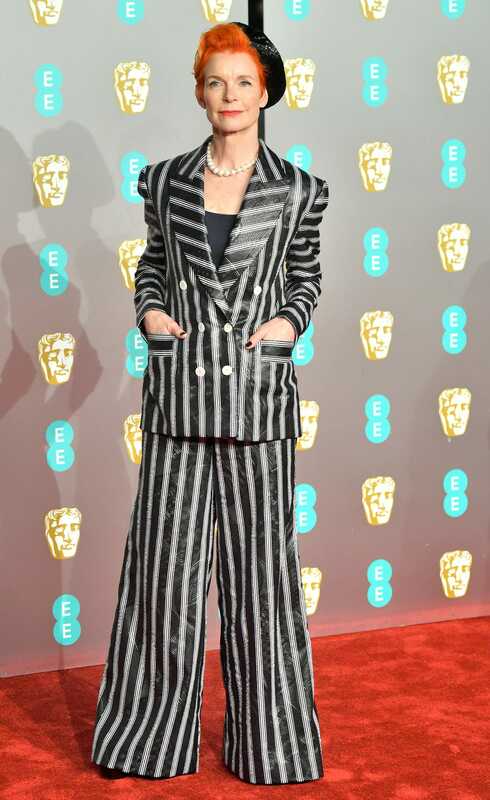 Costume designer of The Favourite, Sandy Powell, pays homage to David Bowie in a pinstriped two-piece. 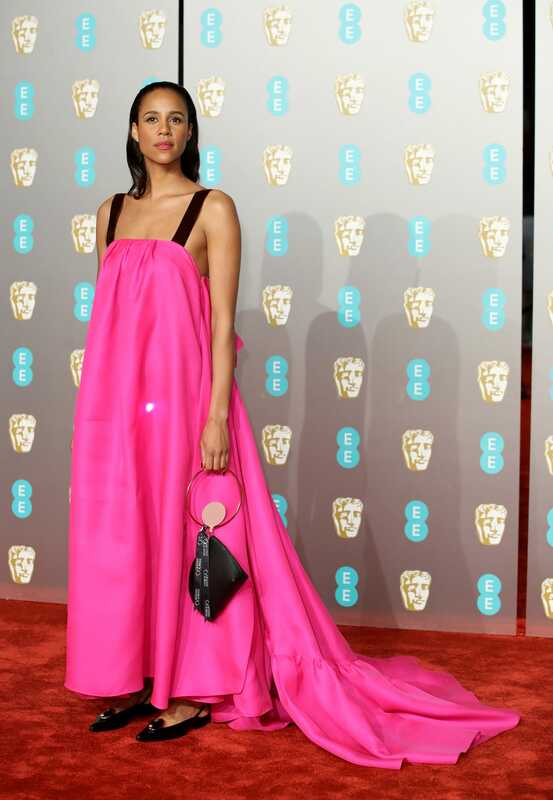 Zawe Ashton in a zingy fuchsia number. Actress Sophie Okonedo's lace dress and Jimmy Choo heels are pitch perfect. Film producer Sophie Harman in The Vampire's Wife. Documentary filmmaker Elizabeth Chai Vasarhelyi in a ruffled cappuccino-hued dress. Modern Life is Rubbish star Freya Mavor. 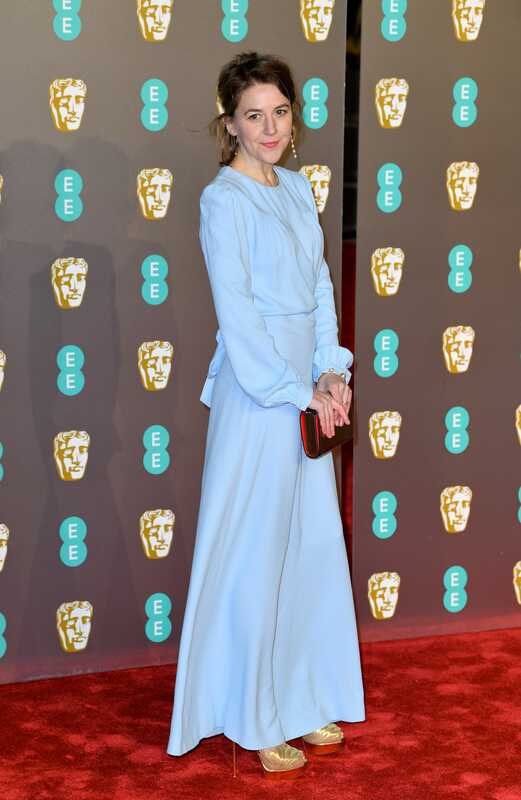 Game of Thrones ' Gemma Whelan in a cornflower blue delight. Model Barbara Meier in a glistening caped dress.